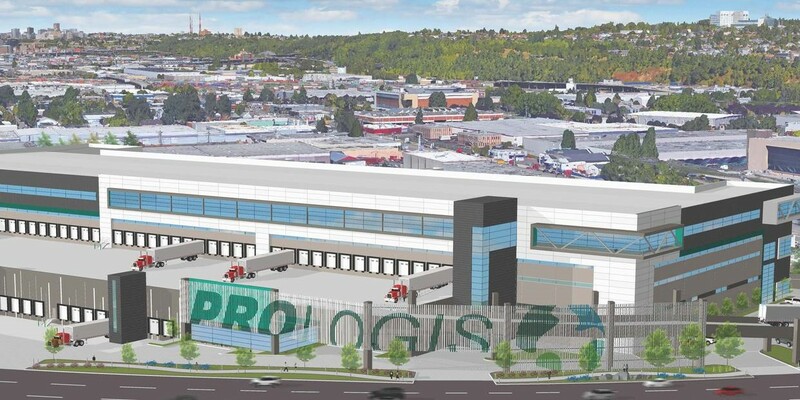 As the world’s largest warehouse owner, Prologis is building the first multi-story shipping container warehouse in the United States, the Georgetown Crossroads AKA Sounder project. This three-story warehouse includes very heavy loading from stacked shipping containers that is rarely seen in commercial projects. The Design Services team of SunSteel worked closely with the design team and contractor to reduce structural costs, optimize the seismic design, explore customized steel members, and determine details to accommodate the huge loads that will simplify erection. See the project webcam here or take a virtual tour.